Amazingly rich sound, with powerful volume. Nonstop music for 3 hours on one charge. Also an ingenious radio remote trigger. For the most beautiful selfies even from larger distances. 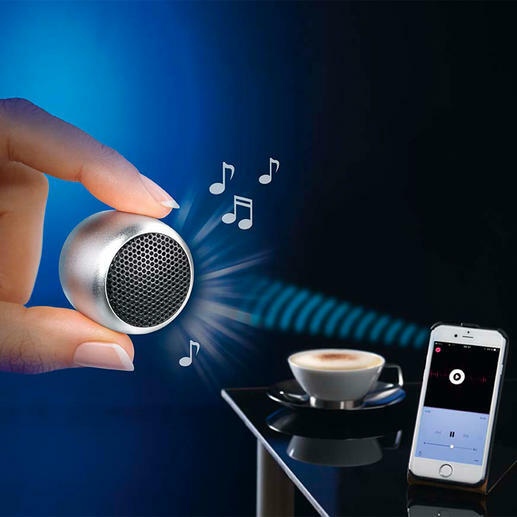 Probably the world’s smallest and lightest Bluetooth speaker. Despite the tiny size, you can enjoy your favourite music in the best sound quality: With clear highs and powerful basses. Distortion-free, even at maximum volume. With Bluetooth radio 4.1. Range 10m (33ft). Long-life lithium-ion battery, charging time via USB approx. 1 hour (cable included). 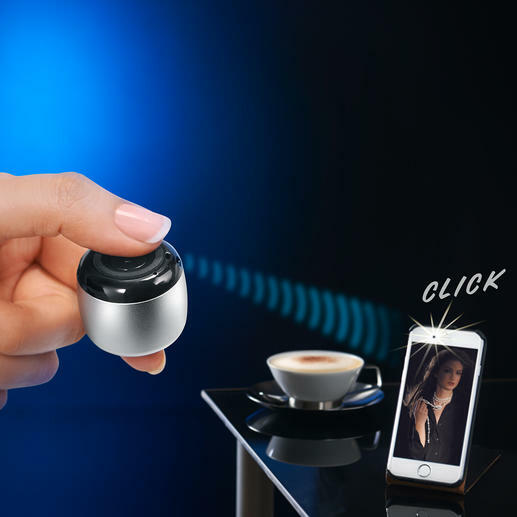 With a simple push of the button at the bottom of the case, you can trigger your smartphone/tablet camera from up to 10m (33ft) without touching it. Case made of anodised aluminium. Size 33.6 x 24.8mm (1.32" x 0.98") (diameter x H), weight 33g (1.16 oz).